Two-thirds of Russian citizens say that after 2018 they would like to see Vladimir Putin or his personally proposed successor as president after the elections. Less than 20 percent of Russians say that the nation should choose someone with a different approach. According to a poll conducted by the independent agency Levada Center in late November, 57 percent of respondents would prefer to see Putin reelected as president in 2018. Eleven more percent said that the incumbent president should be replaced by someone he himself proposes as his successor. Eighteen percent said that they would prefer another person as president who would suggest a different political course, while 14 percent of responders said it was too difficult for them to answer the question at the moment. In the same poll, 48 percent of Russians said that currently no politician in the country could effectively replace Putin, while 33 percent said that the replacement could be found once the need arises and 6 percent answered that they already know a perfect candidate. Twelve percent of respondents said they found the question too complex to answer. The share of Russians who think that replacement of officials is a key condition for a successful political system dropped from 60 percent to 45 percent over the past year and the share of those who think that political leaders must appoint their successors and pass their posts to them increased from 17 to 22 percent over the same period. A total of 19 percent of Russians (against 11 percent a year ago) answered that successful politicians can occupy their posts for an indefinite period of time – the longer the better. Vladimir Putin’s popularity rating has been growing constantly throughout the current presidential term, hitting historical highs several times, after such events as accession of the Crimean Republic into the Russian Federation or the beginning of the Russian counter-terrorist operation in Syria. According to the state-owned polling agency VTsIOM, in late October Putin’s approval rating was higher than ever at 89.9 percent, beating the previous high set in June 2015, when the average monthly rating was 89.1 percent. In late June 2015, the Levada Center reported that according to their data, the share of Russians who are happy with Vladimir Putin’s work as president had reached 89 percent. Sixty-four percent think the current policies of the Russian authorities are correct – also the highest in history. 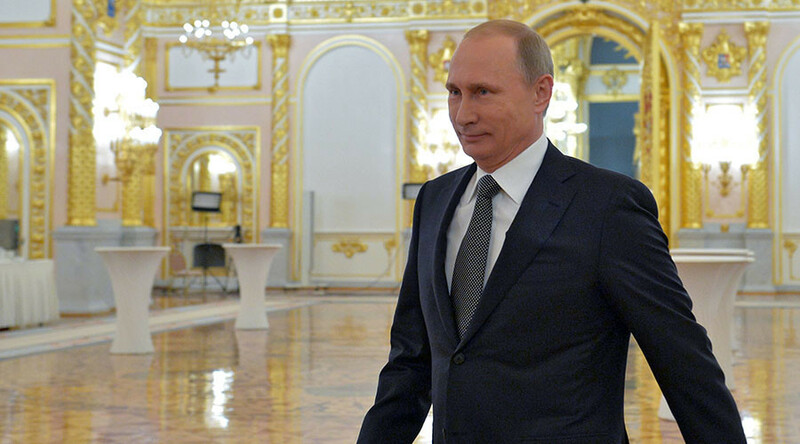 The proportion of Russians who expressed dissatisfaction with Putin’s work was 10 percent. Last year, Putin’s press secretary Dmitry Peskov said that in his opinion Putin did not need any publicity, bad or good, and the people’s love for Putin was a manifestation of their love for Russia. During a major Q&A session in 2014 Putin himself stated that high ratings were not among his major priorities.